Kmart has always been about keeping things simple; providing Australians with everyday items at the lowest possible price. Managing Director of Kmart Australia, Ian Bailey, couldn’t quite believe his good fortune when he took the top job earlier this year. Not only had he inherited a great company that had been trading well for years, he was placed in charge of a brand that Australians don’t just recognise, it’s a brand they love. As well as feedback from the streets, there has been a great reaction from the public on social media. There are even fans — not marketers — devoting Instagram and Pinterest accounts to their much loved Kmart products. Ian believes this kind of brand loyalty is derived from Kmart’s continued efforts to put its customers first. Ian acknowledges that there are some great retailers in Australia, but he isn’t too worried about competing with the other players. He says Kmart is focused on working out what it does really well and doing more of that, as well as continuously improving in other areas. “We just want to be that reliable, consistent place that customers can come when they need to get their everyday things,” he says. Keeping it simple is a fundamental philosophy that ensures Kmart’s strategy is executed well. 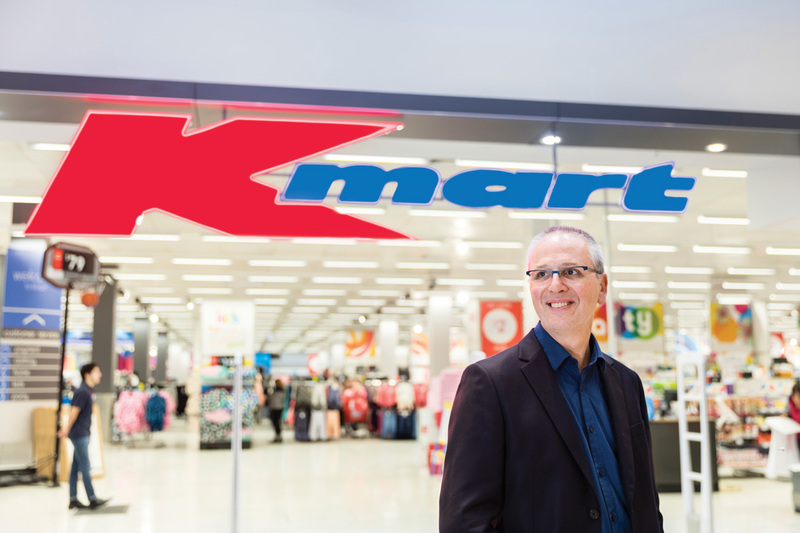 With a large team of more than 30,000 employees and 190 stores across Australia and New Zealand, Ian says using clear and consistent language, having direct relationships with its suppliers in Australia and overseas, and maintaining its focus on a short list of important things that generate the most value has helped contribute to Kmart’s success. Ensuring the lowest prices doesn’t mean Kmart makes any compromises on its commitment to social responsibility. Ian says he really enjoys working with the large and diverse Kmart team and it’s incredible to see that everyone is passionate about applying themselves to the company’s values.